New Gym and Studios Open ! Your brand new 70-station gym is now open. There is a range of new kit and for anyone wanting an induction on how to get the best out of it we are offering free group induction's. To join one of the sessions please ask one of the gym team or at reception. The new spin studio upstairs is also open with the existing spin bikes, offering the current spin programme, before being replaced with new ICG 6 bikes and having the virtual offering added mid-December. The installation of the new virtyal cycle studio upstairs, which offers all the cardiovascular and conditioning results you’d expect from a high-end indoor cycling programme, including virtual programmes which has eye-catching videography of stunning world locations. The fantastic refurbishment here at Burntwood Leisure Centre includes an upgrade to the current gym facilities, a new freedom cafe plus, a brand new aerobics studio and a new indoor cycling studio. There will soon be new steam room and sauna . Freedom Leisure is making an investment in excess of £1.1 million in partnership with Lichfield District Council, to support the local community to be more active, more often. The first area to be opened was the revamped reception and Freedom Cafe which was opened early November. This will help create a social and welcoming atmosphere in the reception area and the freedom cafe serving Costa coffee and delicious snacks for you to enjoy before and after working out, while the layout also makes it easier and quicker for visitors to check in and move through the centre. As part of the gym enhancements a functional training area has been installed. 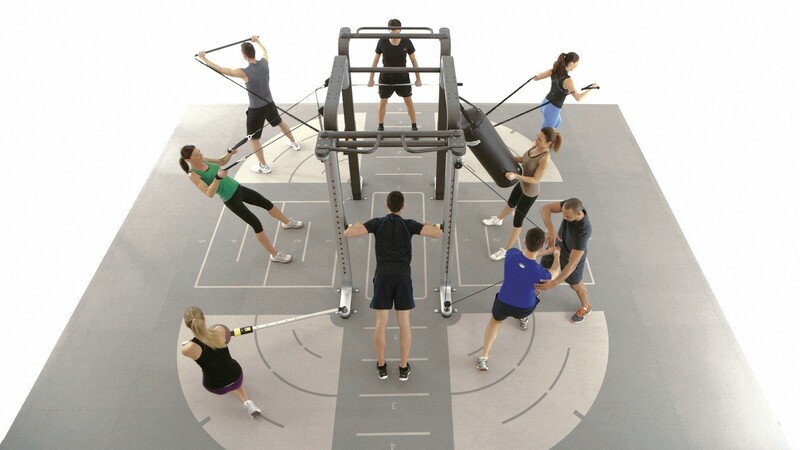 Functonal training helps to improve your core strength and overall conditioning, training the body for the activities performed in daily life, in addition new state-of-the-art TechnoGym equipment will be installed throughout the new gym area. Since February 2018, behind the scenes, contractors have put in place a number of energy saving measures which will see the site reduce C02 by 392 tonnes a year. 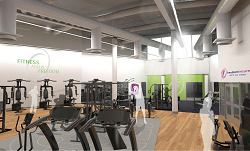 The refurbishment project will be complete by the end of January and launched at an open day on Saturday 02 February, where there will be tours of the centre, free access to the gym, 30 minute taster classes and special offers on fitness memberships throughout the day. On the day everyone will be able to swim for just £1.